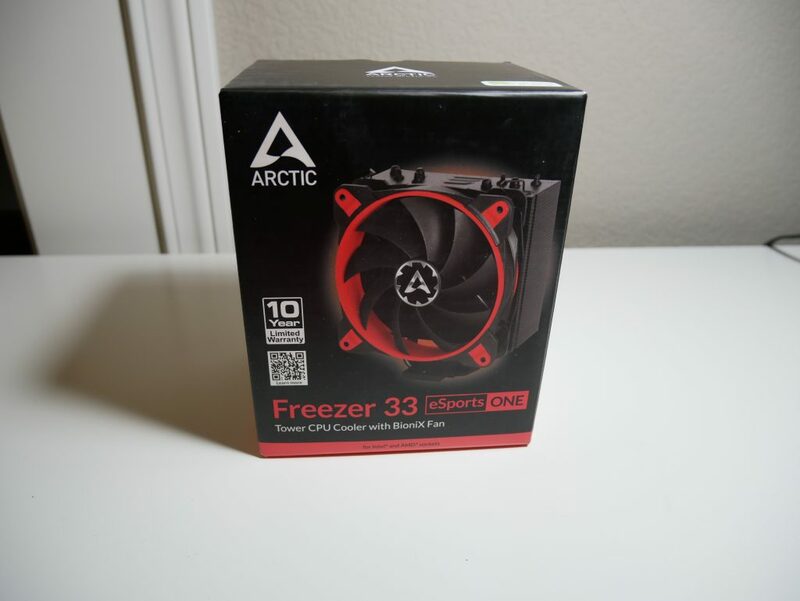 Arctic Freezer 33 Esports One - Is this ~$30 cooler worth your cash? Arctic has been around for a while. Many who build their own computers will recognize the name because they make the very popular MX-2 and MX-4 thermal pastes. Arctic also has a CPU Air cooler and all-in-one liquid cooler line. Today, we are going to take a look at one of their newest CPU coolers, the Arctic Freezer 33 Esports One. 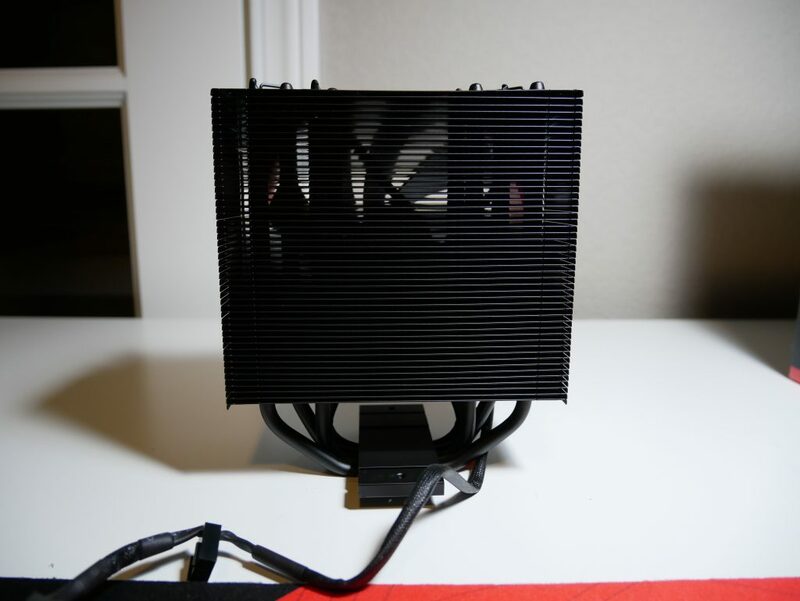 High Performance CPU Cooler: A powerful Tower cooler equipped with BioniX fan. 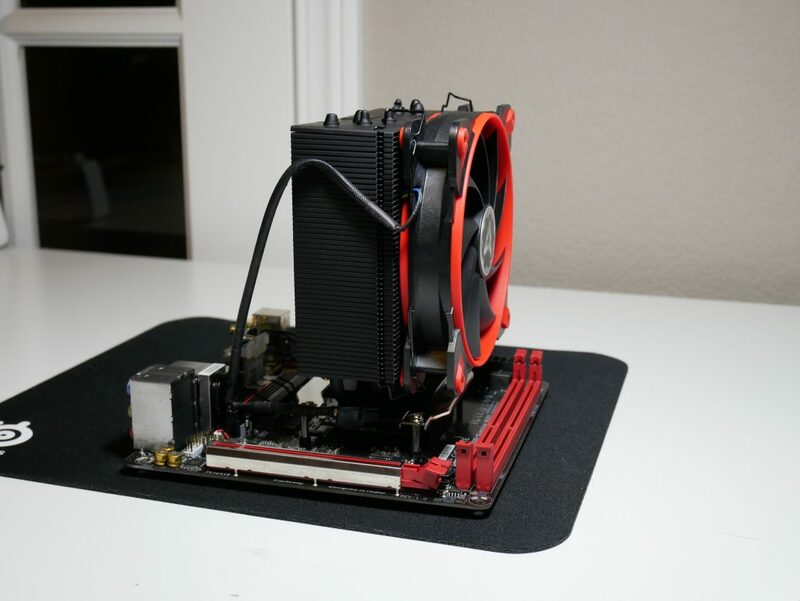 New thermal coating and fan gives performance with a TDP up to 200 watts. Thermal Coating: Newly developed thermal coating creates micro-turbulence with a special surface structure. Coating and offset heat-pipes leads to an optimized heat-dissipation and and increased cooling performance. Maximum Performance for Highest-End CPUs: The contact surface does not cover the full surface of the CPU cap, but is positioned right where the processor die is and cover the even largest 18 cores completely. This leads to maximum performance. Wide Range of Regulation: With the range of 200 to 1800 RPM the fan is controllable in one setting thanks to ARCTIC’s PST ( PWM Sharing Technology) to keep the overall noise level minimum yet the cooling performance as needed. Maximum Quietness, Minimum Vibration: Extremely quiet operation through a newly developed motor guarantees long sessions without annoying noise. The ARCTIC motor absorbs 95% of vibrations compared to a conventional DC motor. 4 x Longer Life Span: 10 º C lower motor temperature doubles the life span. 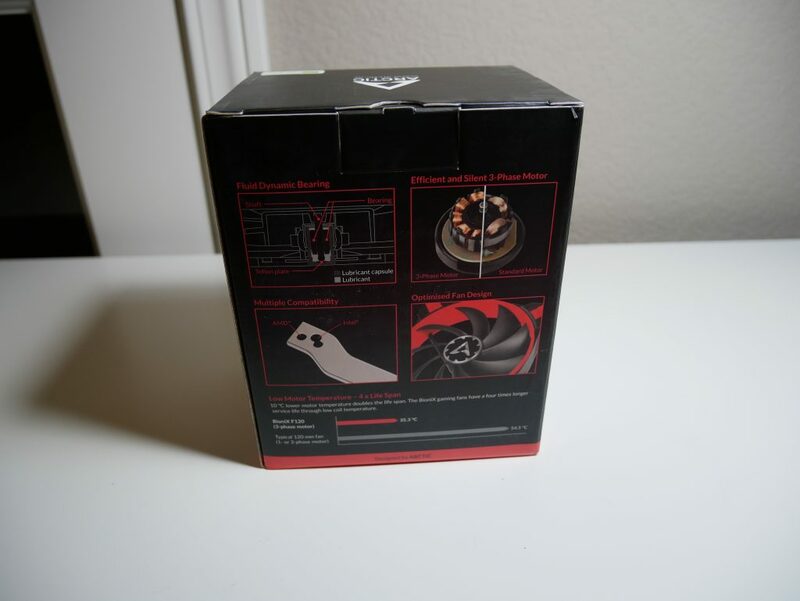 The BioniX gaming fans have a four times longer service life through low coil temperature. Arctic therefore, extends warranty to 10 years. Optimal Compatibility: Fast and easy to install, the different mounting systems are compatible with Intel and AMD sockets. A backplate and a lower weight allows the Freezer 33 to be not only fool-proof to install, but also absolutely transport safe. Unlimited Ram Compatibility: There are no restrictions when using RAM modules. Even RAM modules with larger heat sinks can be mounted without any issues and are not blocked by the CPU cooler. Taking a look at the front of the box you have a nice picture of the cooler itself and also the company advertising its 10-year warranty on the product. This 10-year warranty will make sure you are able to continue using this cooler for your personal system for years to come. 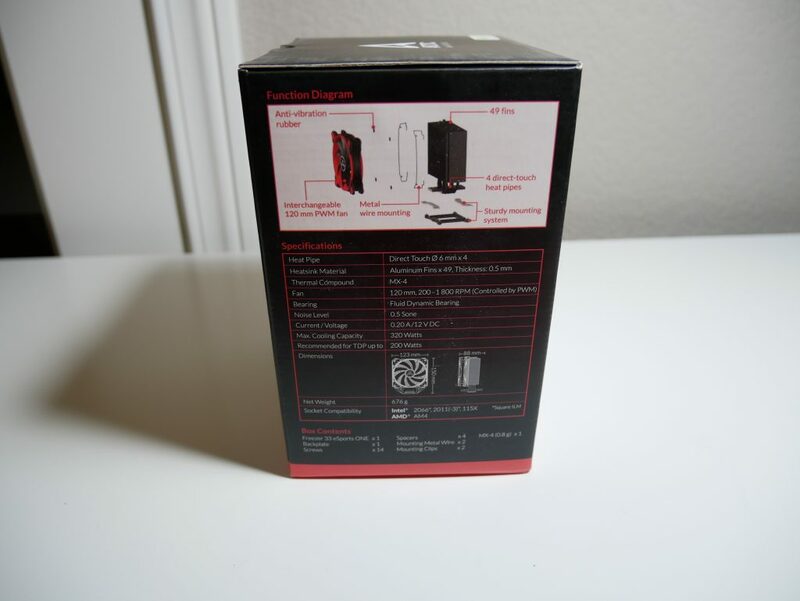 The left side of the box has the cooler specifications and the back has more of the listed features which are discussed above. 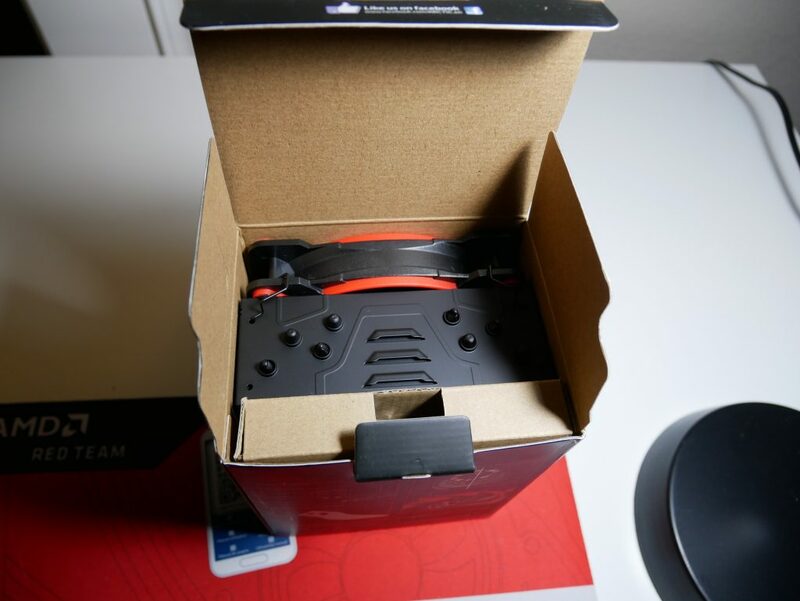 You open the lid of the box to find the accessories box that has all of the components of the mounting system whether it’s being mounted to an Intel socket or AMD AM4 socket. 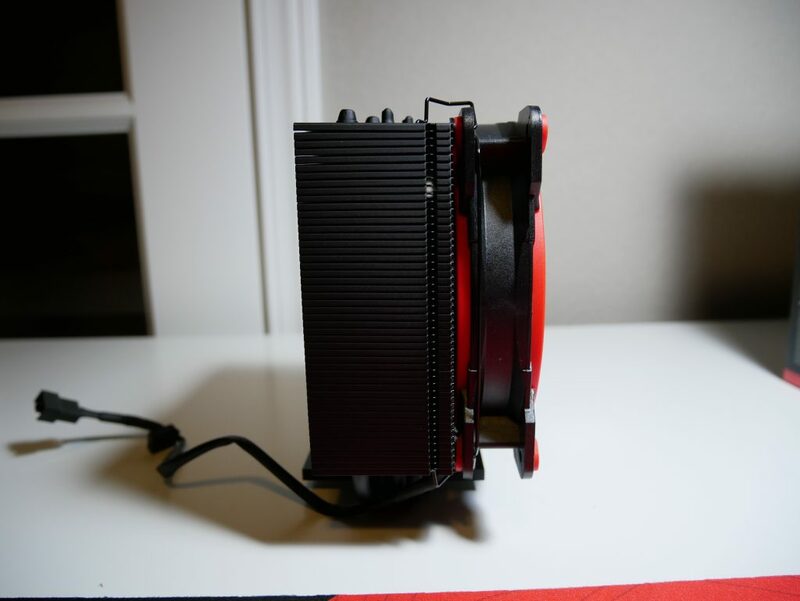 Once you remove the accessories box you find the cooler with the BioniX fan already attached. While I like how the fan is already attached, it does need to be removed to install the CPU cooler onto your CPU socket. 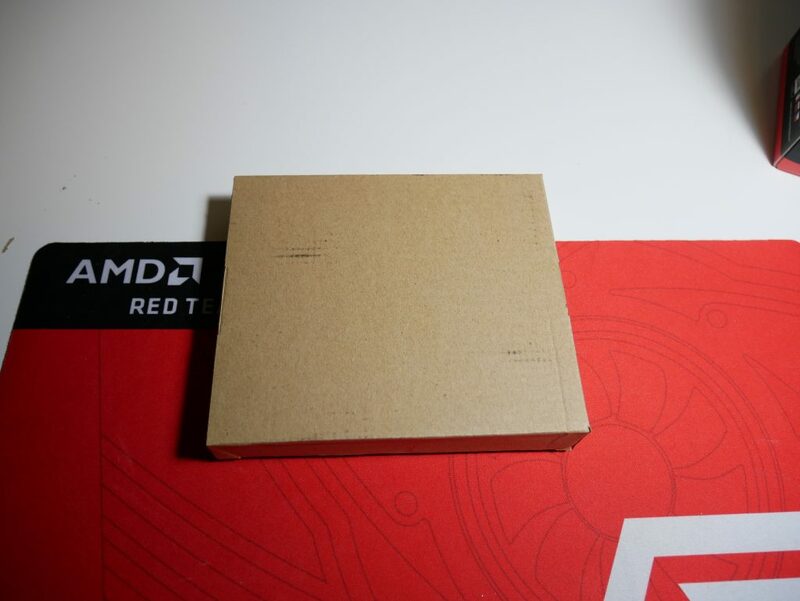 While not necessary, there is no padding in the box to protect the CPU cooler from being damaged. 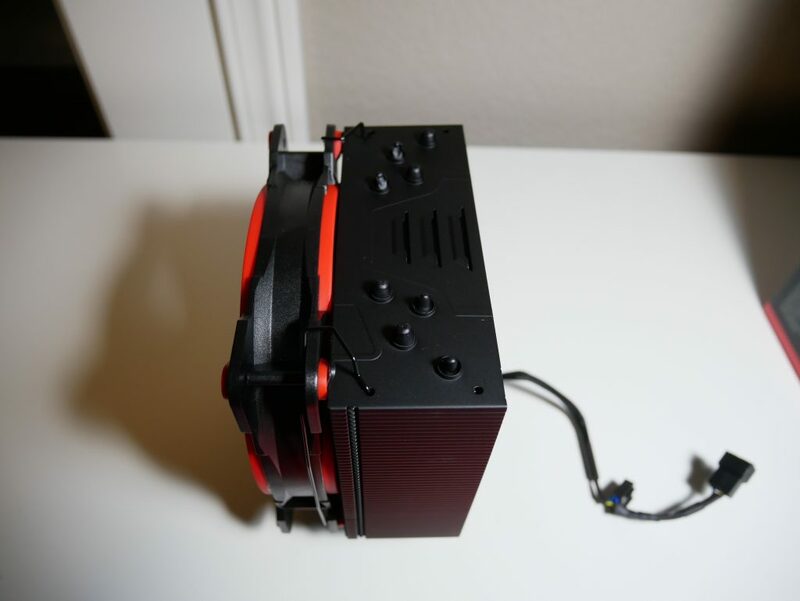 Luckily, the CPU cooler arrived without any damage to the cooler or the box, ARCTIC does use a sturdy cardboard for the construction of their box to help combat any damage. 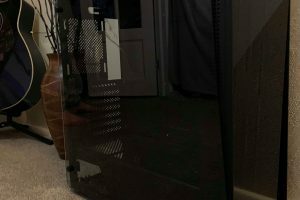 Taking a closer look at the Arctic Freezer 33 Esports One, the first thing you notice is the special thermal coating which adds a nice black aesthetic and partnered with one of the 4 different fan choices you can really add a great look to your computer build. The 49 aluminum looks very free flowing and sturdy, ready to take on the heat of your CPU. There are 4 6mm heatpipes that make direct contact with your CPU heat spreader. The heatpipes are also covered in the black thermal coating, except at the bottom of the heat sink where they make direct contact with the CPU. 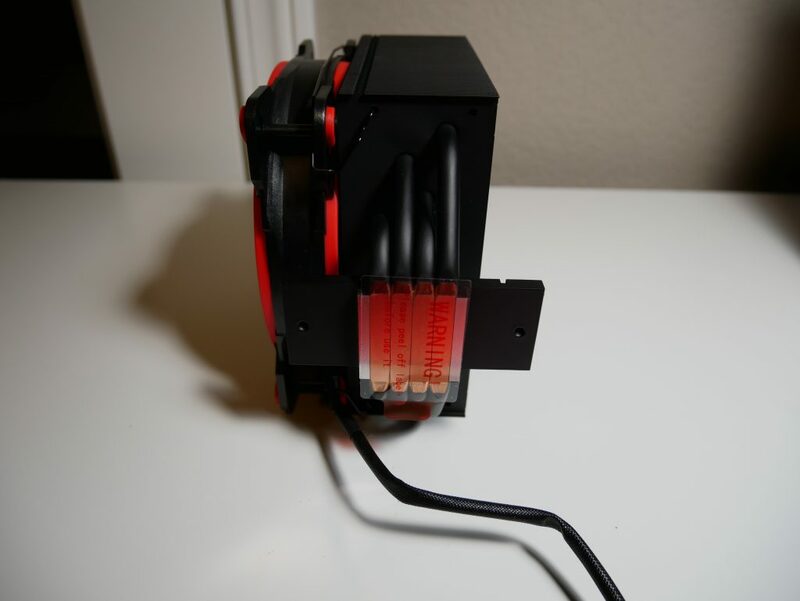 The Bionix Fan has 9 blades and comes in four different colors (Red, White, Green, Yellow). It also features Arctic’s efficient and silent 3-phase motor which has a 10 C lower motor temperature equaling up to four times longer service life. Metro LL Benchmark (Very High, AF 16X, No AA, PhysX dis): This is looped into 3 consecutive runs and the highest temperature is recorded. 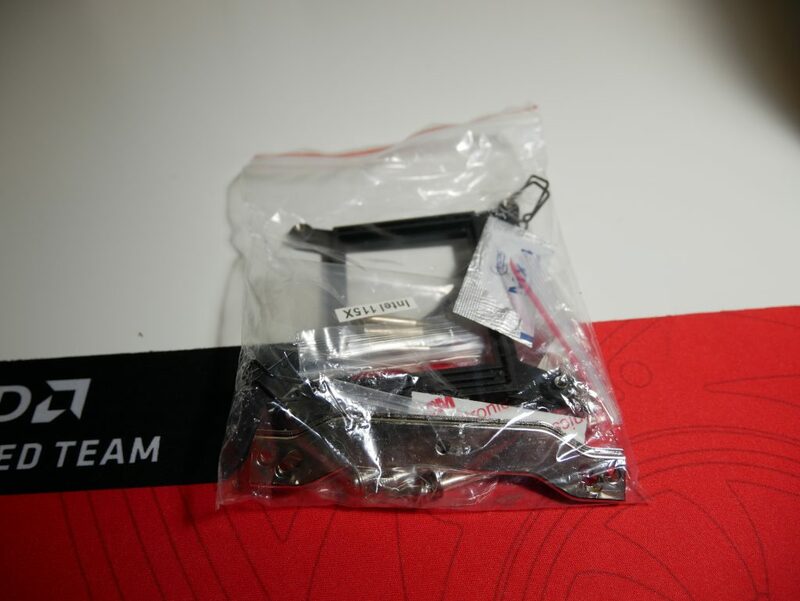 Installation of the fan onto the CPU cooler is made easy by the already attached clips that stay with the cooler. To install you just have to hold the fan on the cooler and move the triangles on the clips into the 120mm fan mount holes. Before installing the cooler on your CPU you just have to install two brackets to the heat plate. 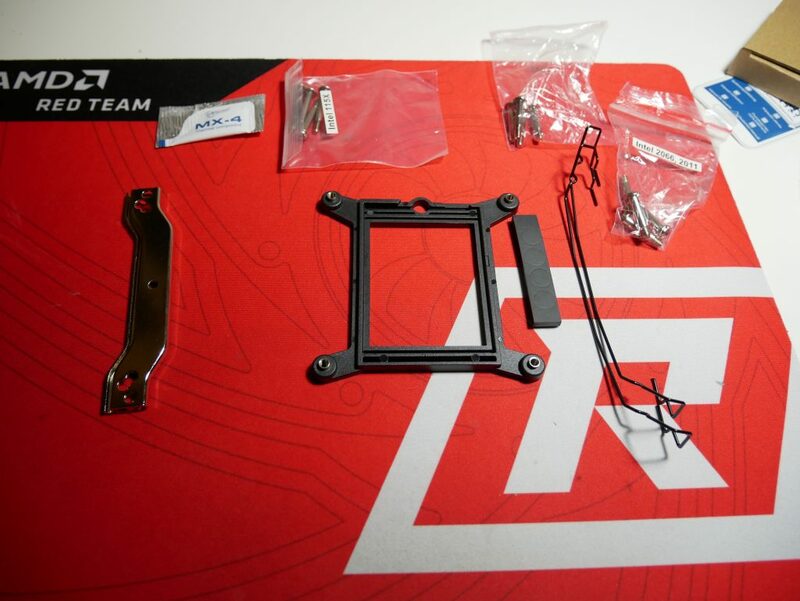 When installing this cooler to an AM4 socket, you simply use the stock AM4 backplate that comes with your motherboard and you use the provided screws to connect the brackets to the back plate. The screws are made so that you cannot over tighten them and apply too much pressure to the socket area. The following are what I believe to be a great group of real world representative tests to be able to stress the CPU and integrated Vega GPU and lastly the CPU cooler that is attached. 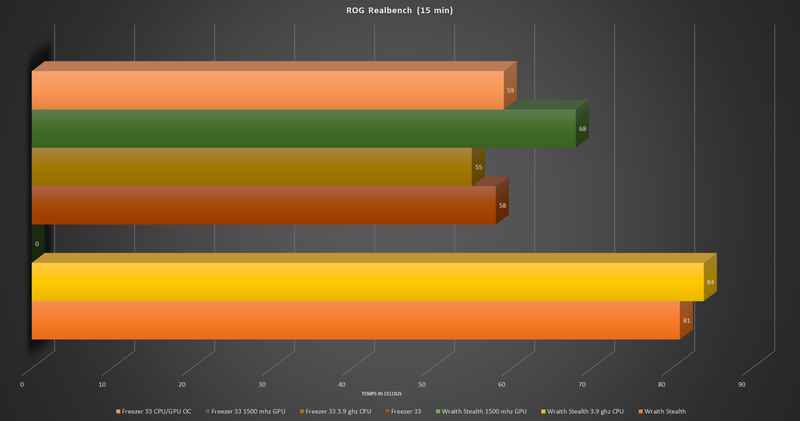 The ambient temperature of the room during testing is 18 C. The testing was conducted with the 2400g stock settings, an Overclock of 3.9 Ghz on the CPU, an Overclock of 1500 Mhz on the GPU and lastly both the CPU and GPU Overclocked. During testing the hottest package temperature is recorded. 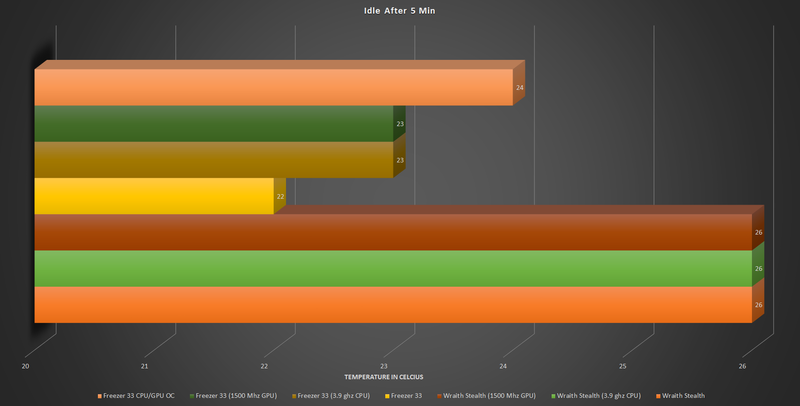 At idle you can see that the Freezer 33 Esports One does a great job of cooling the CPU package with an improvement of 5 C over the stock Wraith Stealth cooler. Once Overclocking is involved, the Freezer 33 is still able to keep the idle temp at 24 C.
At stock settings the Freezer 33 is able to keep the CPU package temp to only 53 C, which is an 18 C improvement of the very good stock Wraith Stealth. Once Overclocked on both the CPU and GPU you can see that the Freezer 33 is able to do an excellent job keeping the package temperature at a low 52 C.
As you can see at stock settings the Freezer 33 is able to beat out the stock cooler in the Realbench test with an improvement of 23 C. Overclocking just the GPU to 1500 Mhz the Freezer is able to keep up with the extra heat and hold the 2400g at a max temp of 68 C, the stock cooler was unable to finish the test. 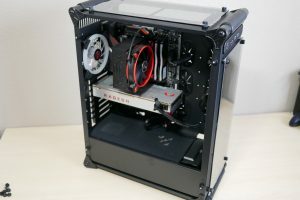 With the GPU Overclocked to 1500 Mhz, the Wraith Stealth was unable to keep up with the heat output of the package, while the Freezer 33 was able to hold the 2400g at 62C during the CPU Test. When looking at ROTR, the Freezer 33 was able to completely able to knock me off my feet with a chilly 43 C for the package temperature with the CPU Overclocked to 3.9 Ghz and GPU to 1500 Mhz. 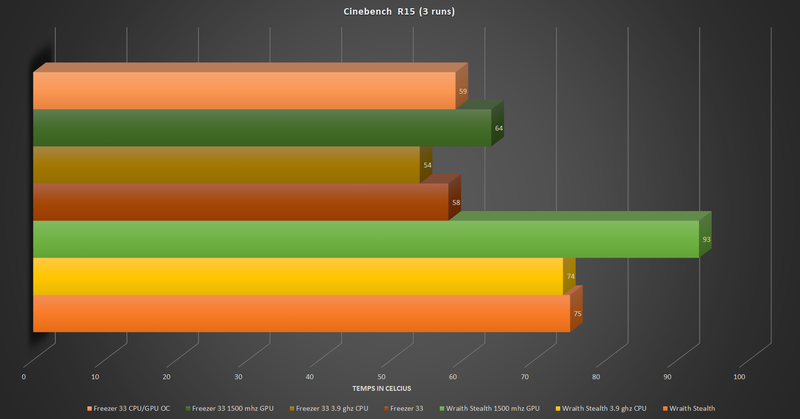 The last test was 3 consecutive runs of Cinebench R15. The Freezer 33 was able to compete really well when the GPU was Overclocked to 1500 Mhz, holding package temps to 64 C. The Wraith Stealth getting to 93 C in only one run. 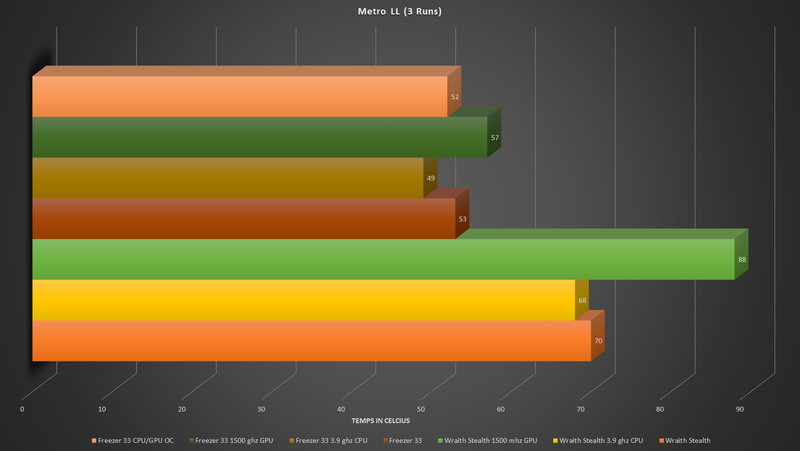 Bottom Line The Freezer 33 Esports One did not only do great on our 2400g test bench, it can handle any CPU with a TDP of up to 200w with only a single fan. 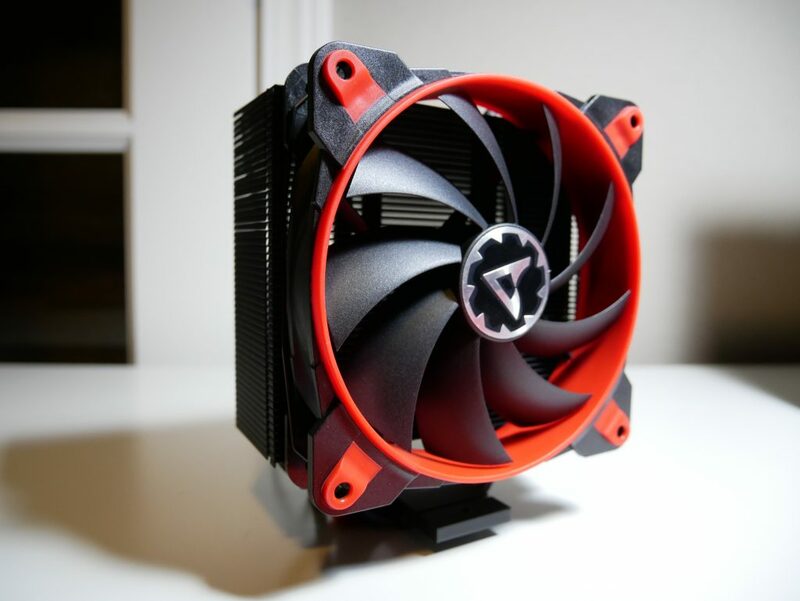 This cooler has great attention to detail and excellent build quality. If you are in the market for a sub $30 CPU cooler look no further and pick up an Arctic Freezer 33 Esports One.